As the year comes to a close, I thought I would share with you guys some of my favorite photographs that I have taken since arriving in Curacao. I consider myself an amateur photographer, so I am still learning the tricks of the trade. 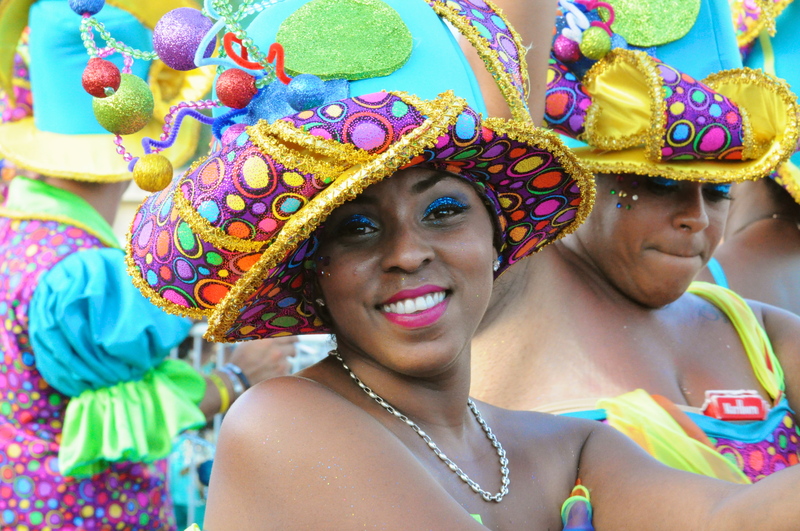 But on the coldest night of the year, I thought some of these colorful shots of the Caribbean would brighten your day. Cheers! First up, here are some beach images. The buildings along Willemstad’s famous harbor. The infinity pool at the Scuba Lodge and Suites at sundown. No editing, these were the natural colors. And shots of some of the people I’ve met along the way. 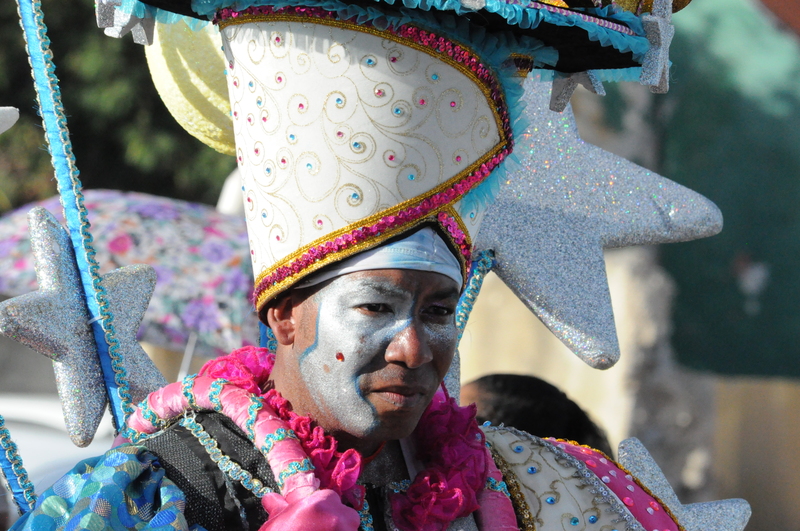 A Haitian boy attends church in Curacao. The members of one of Willemstad’s little league baseball teams get ready to start their evening practice. 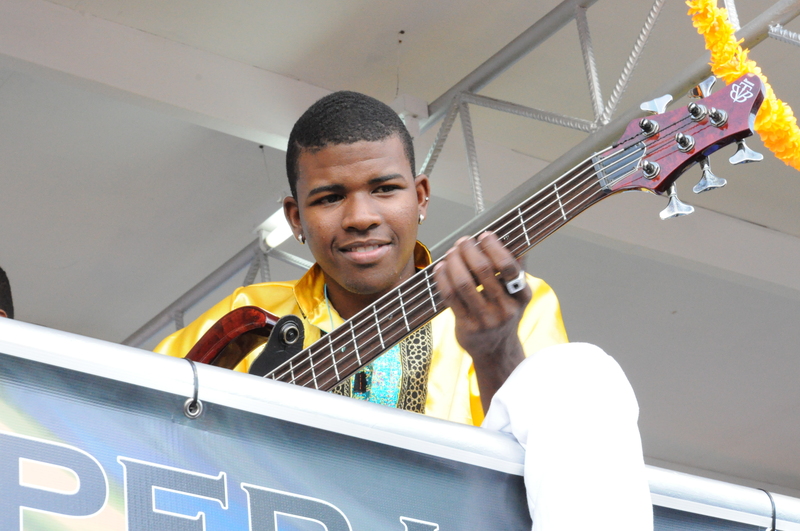 And I cant end the post without mentioning Curacao’s lizards. From the dragon-like iguanas to the beautiful blau-blaus, don’t be surprised when these Antillean reptilians end up chilling near your pool, on your window, or even in your bedroom. This iguana found its way poolside. Handpainted turtles for sale at the plaza in Punda. In Holland, Santa doesn’t have elves. He has slaves. For those who do not know, Sinterklaas is the Dutch version of Santa Claus. But According to the background story, Sinterklaas is a Turkish bishop who arrives in Netherlands via steamship from Spain every late November. He is assisted by Zwarte Piet, or literally, “Black Pete”. 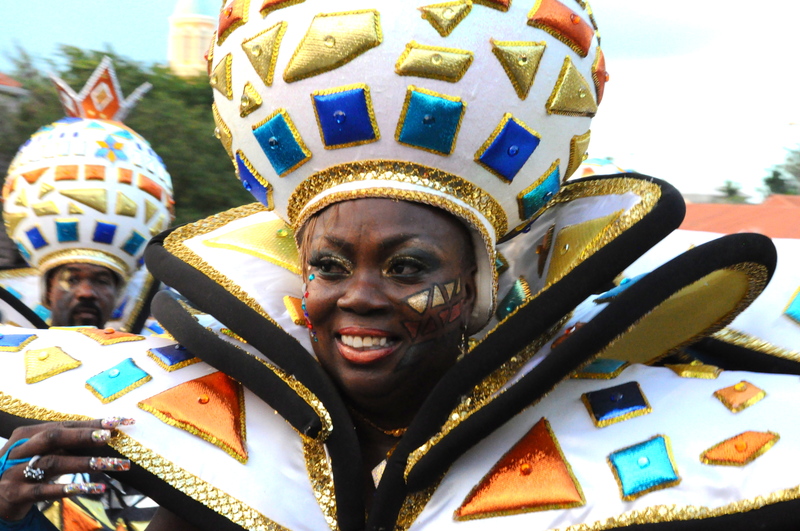 Every year, hundreds of people dress up as Sinterklaas’ helpers by painting their faces black, coloring large red lips on their faces, and donning curly black afro wigs and gold hoop earrings. When I first heard about Sinterklaas and Zwarte Piet in the Netherlands, I was 2 parts shocked, 1 part disgusted, 1 part angry, and a dash of saddened to learn that such a stereotypical image of black people was not only allowed, but celebrated. Even the word “celebrated” doesn’t do it justice. 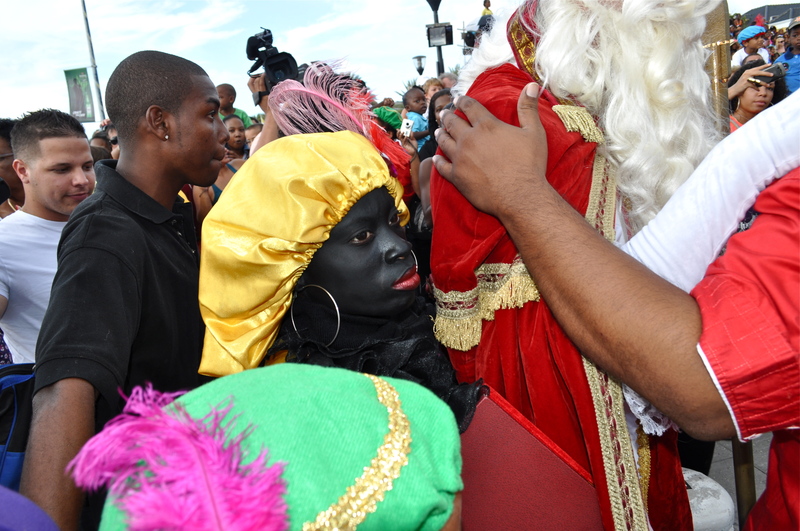 Since coming to live in Curacao, I’ve learned just how ingrained Sinterklaas and Zwarte Piet is to the collective Dutch culture. It is a huge children’s event. 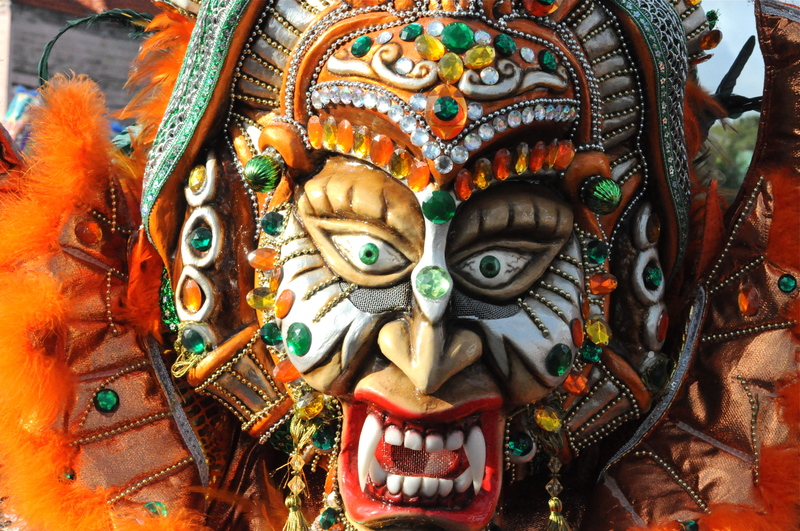 My Dutch friends tell me that growing up, most children believe Sinterklaas and Zwarte Piet are real. There is a Sinterklaas news channel that documents his journey into the Netherlands. Famous Dutch national actors play the different Zwarte Piets. 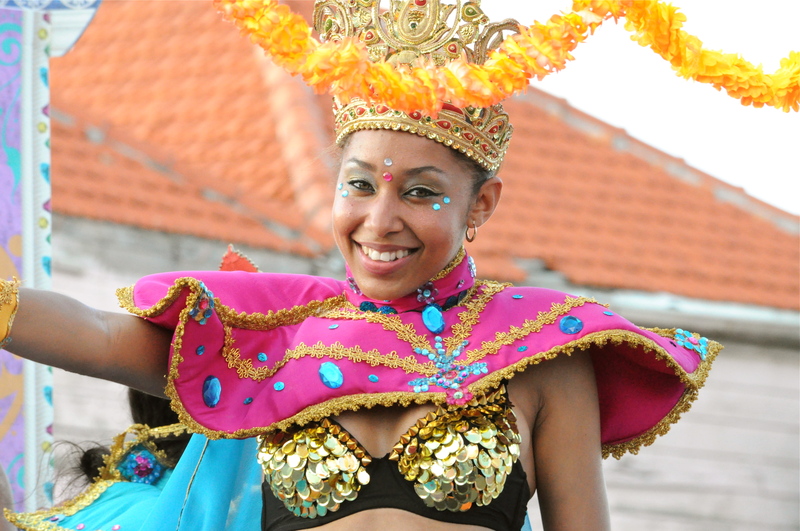 Every year Sinterklaas parades into a different city, greeted by thousands of families with eleborate ceremonies. Its like Santa Claus on steroids. All for the kids. 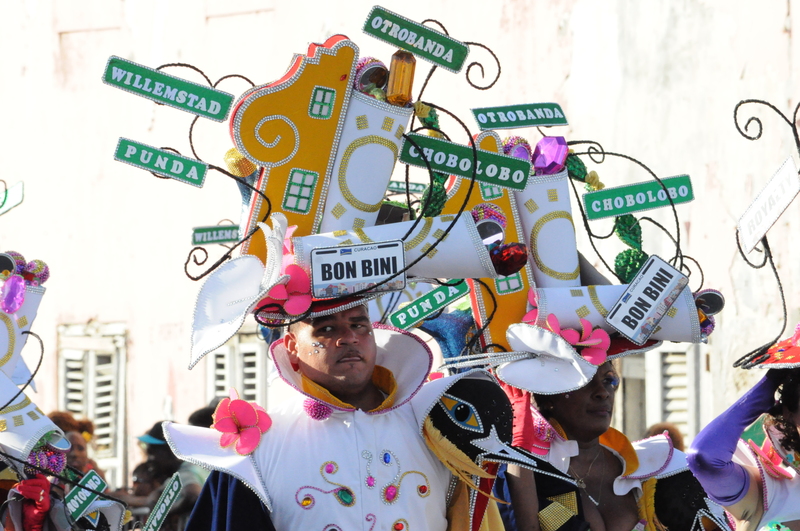 Even more peculiar to me, is the fact that here in Curacao, a former Dutch colony of mostly African descendants here in the Caribbean, celebrates Sinterklaas and Zwarte Piet as well. 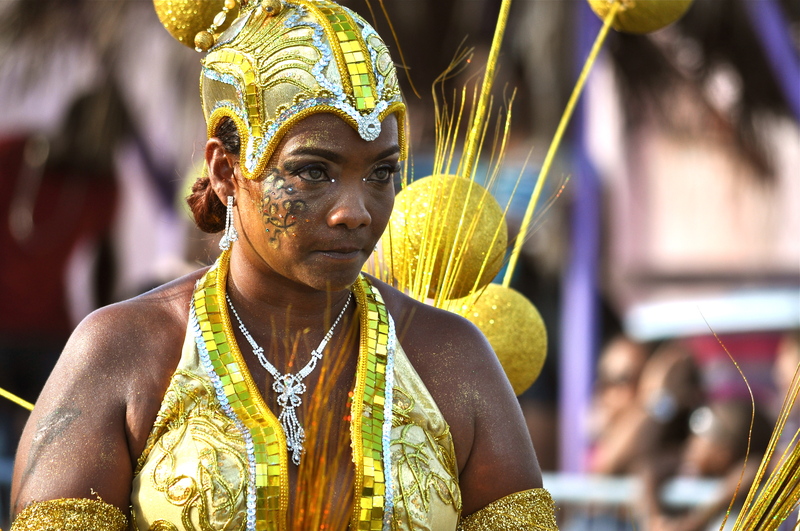 I went to the Sinterklaas arrival this past weekend in Willemstad, and when I saw local black Curacaoans painting their own skin darker, their own lips redder and bigger and donning the Zwarte Piet costumes, I was equal parts surprised and confused. The parade was HUGE. 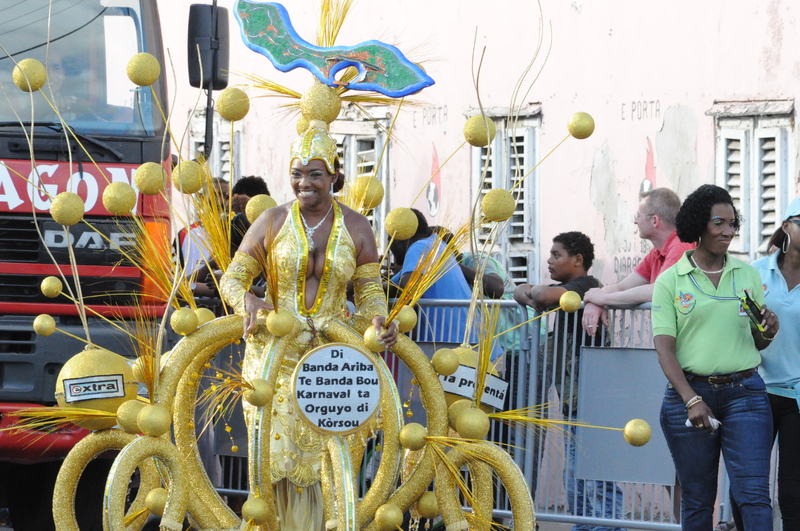 Well, as huge as a parade can get for a small island. 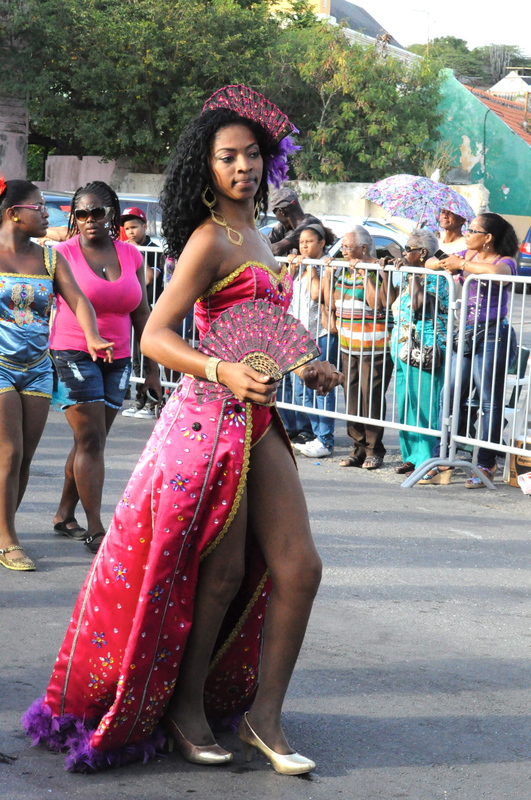 Okay, the parade was island-sized huge. 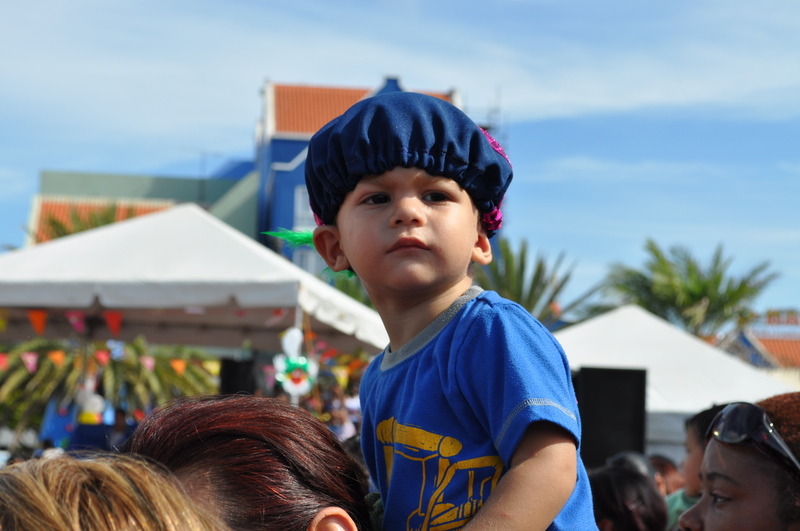 Hundreds of parents brought their young children out early Saturday morning to wait for Sinterklaas and the Zwarte Piets to arrive to Curacao. 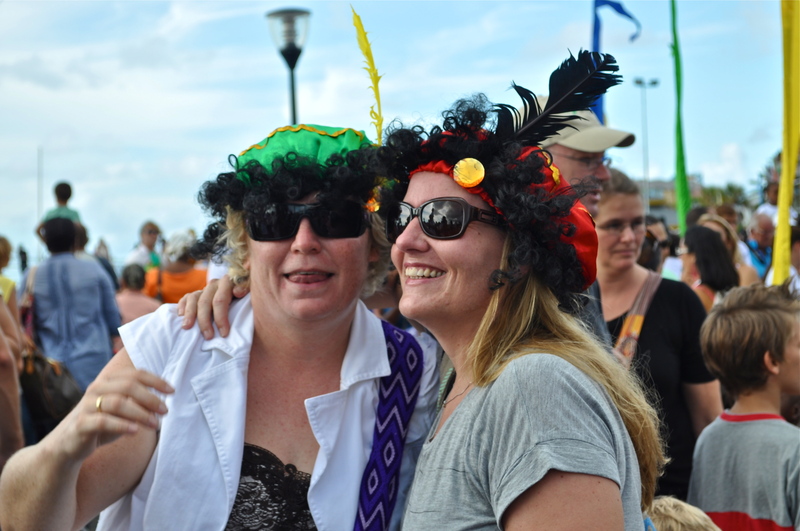 Kids were dressed up in Zwarte Piet hats. And arrive he did. 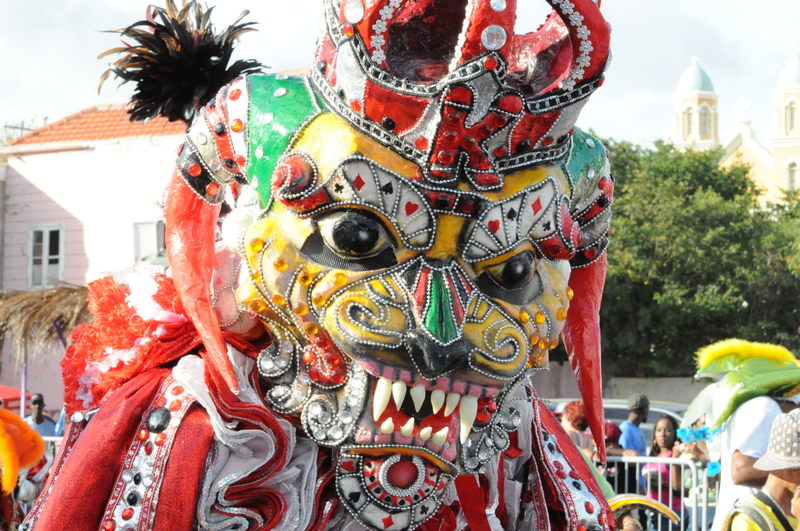 Curacao’s Sinterklaas was not on a white horse, but a pony led cart in the Brionplein area of Otrobanda, on the edge of Curacao’s famous harbor. 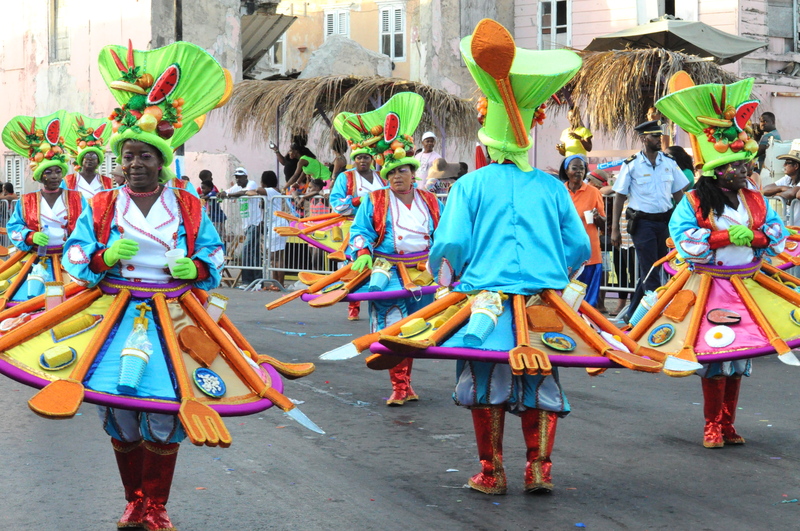 The celebration was a bit like Christmas meets Carribean carnival. I have to admit, if I was a child, the celebration is a blast. Drumming Zwarte Piets performed on drums, while dancing Zwarte Piets entertained the crowd with acrobatics and choreography. Other Zwarte Piets toss out candy for the children, while Sinterklaas sits on his big throne on the stage and watches the show entertained by the Zwarte Piets and their acrobatic skills. 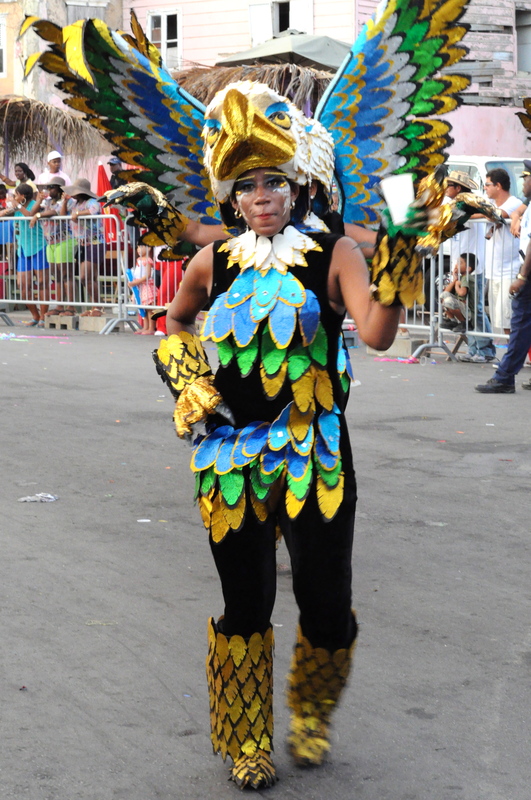 Young performers danced and sang to welcome Sinterklaas to Curacao. 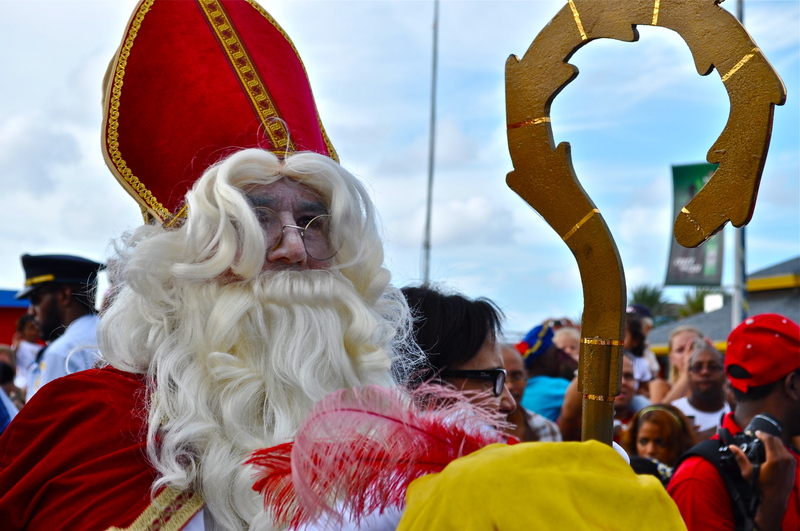 Here in Curacao, Sinterklaas is greeted by a mayor, and addresses the crowd in Papiamento. Zwarte Piet would never happen in the States, my friends say. 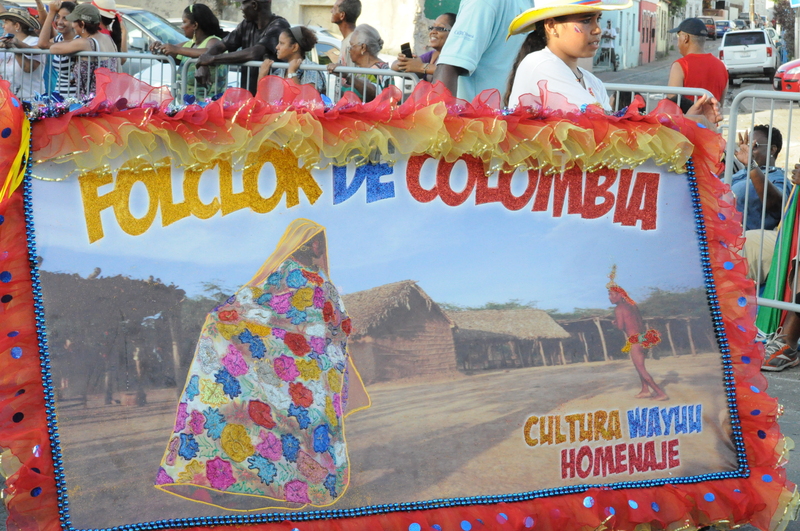 Others ask how it is possible for Curacaoans to also celebrate a character that is so demeaning to black people, while at the same time claiming that they desire to be free of Holland and its neo-colonial attitudes towards its former colonies. 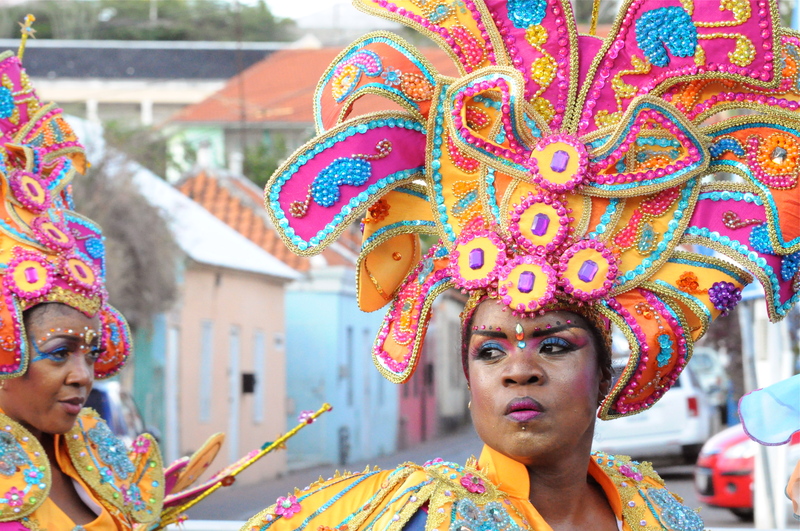 Curacao is the same island where the controversial Dutch comedy “Only Decent People” that depicts Surinamese women, as loud, fat, oversexed, ghetto welfare queens opened to crowds. 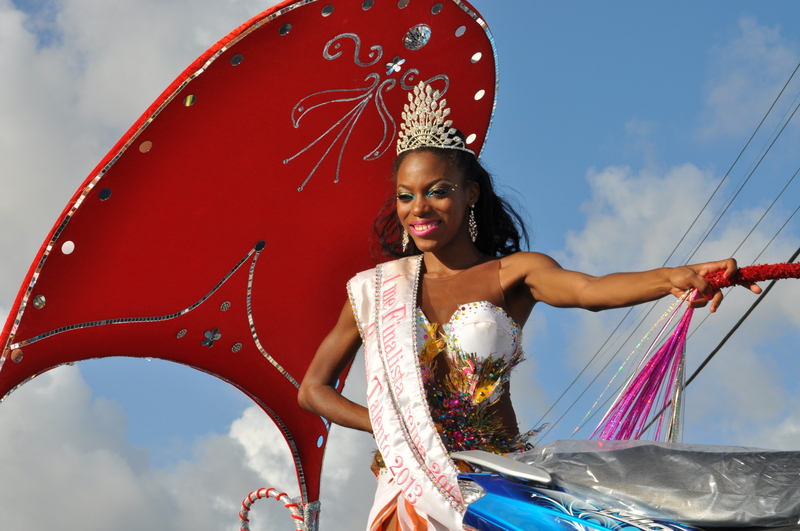 The producer of the film offered free tickets to large dark skinned women here in Curacao. And people bought in. This is also the same island where little media attention has been paid to the fact that a major motion picture about Tula, the slave who led Curacao’s biggest revolt in 1795 is currently being filmed here. 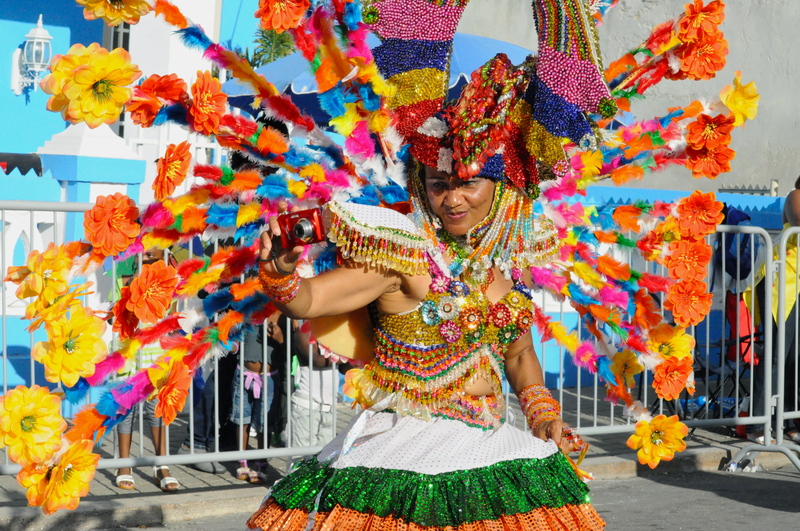 This is also the same island where on the 2 year anniversary of Curacao’s autonomy from Holland on October 10th, which was a national holiday (Dia di Pais), there were basically no celebrations. 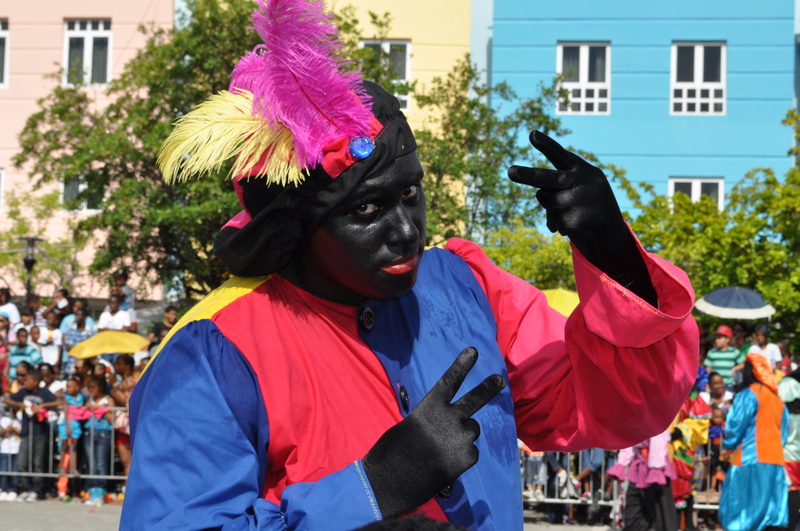 Could it be that social, political and cultural apathy has allowed the Zwarte Piet caricature to thrive here in Curacao? I hope that is not the case. 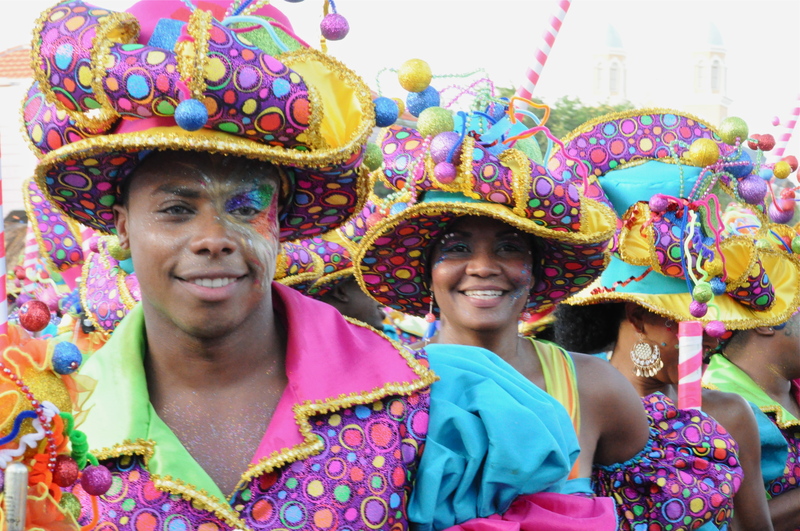 Yes, Zwarte Piet is colored black. But it is more than just the skin color. The black curly hair, oversized red lips, and goofy character is not unique to “Dutch tradition”, but rather were/are common mockingly stereotypical images for dark skinned people that have appeared in various narratives for children, from Herge’s The Adventures of TinTin comic books in Belgium in the 1930s, “Black Sambo” in Britain in the late 1800s, and Jim Crow and the various minstrel shows in the Americas. 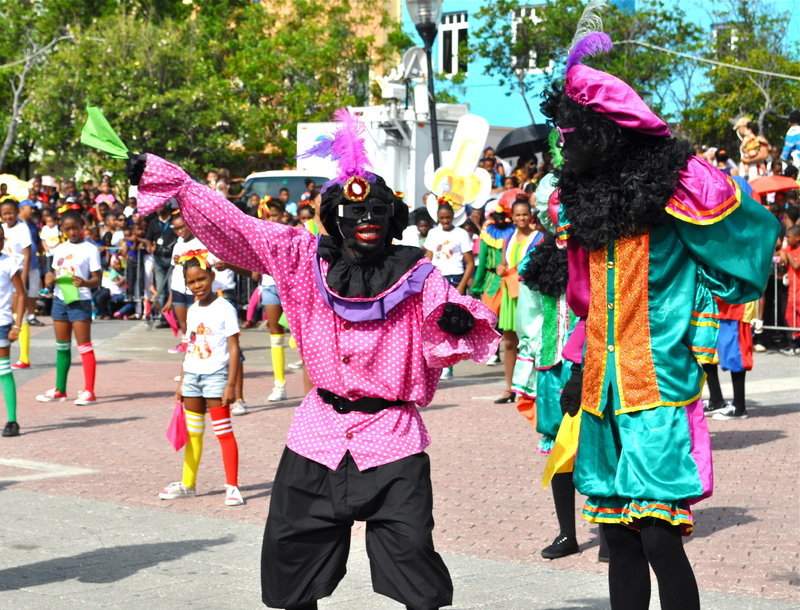 The reason why Zwarte Piet resonates with “outsiders” or alloctoons is because they have seen Zwarte Piet before. We have seen the exact same character to represent non-white people in other historical narratives. 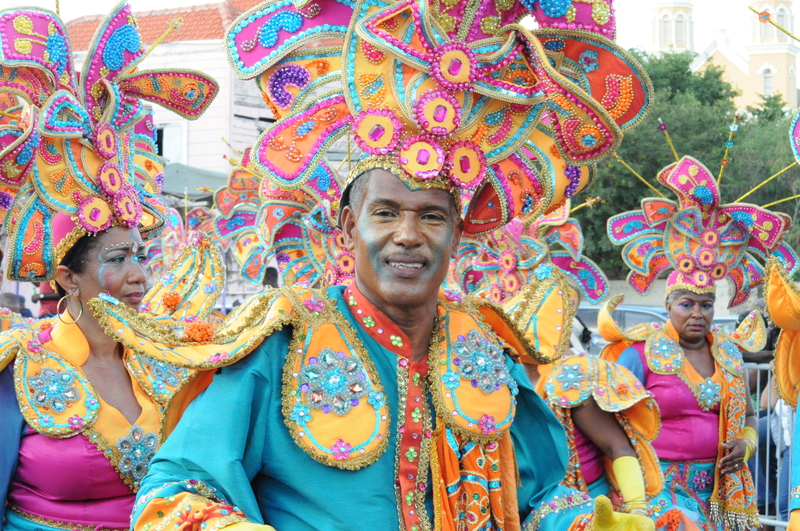 Zwarte Piet actually is nothing new. In most other places, that character has been recognized to be a relic of a racist time long gone by (or so we think) and is no longer in use in public. Why Zwarte has been fiercely guarded and protected by people living in the Kingdom of the Netherlands to this day in the name of “tradition” baffles many people. Empowerment is a Woman's Best Friend. Keep Your Diamonds.